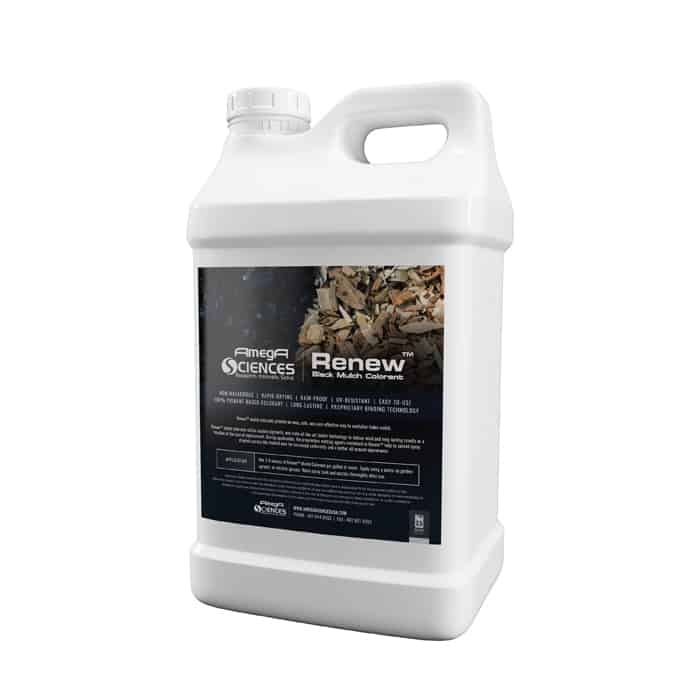 Renew™ Black mulch colorant provides an easy, safe, and cost-effective way to revitalize faded mulch. 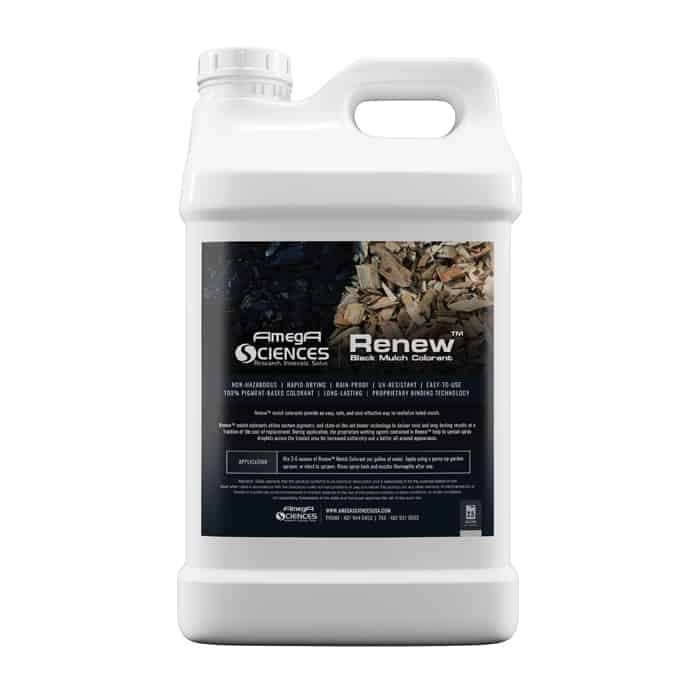 Renew™ Black mulch colorant utilizes custom pigments, and state-of-the-art binder technology to deliver vivid and long-lasting results at a fraction of the cost of replacement. Mix 3-6 ounces of Renew™ Black Mulch Colorant per gallon of water. Apple using a pump-up garden sprayer, or electric sprayer. Rinse spray tank and nozzles thoroughly after use.